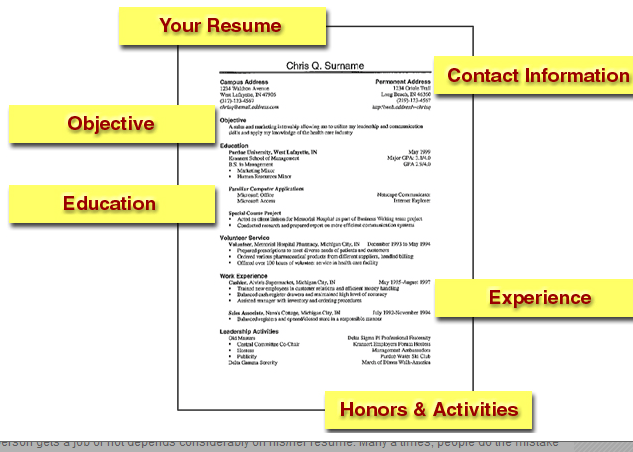 Always try to keep your resume objective short and clear. Always try to say only facts regarding your percentages or any other qualifications don’t try to hide anything. While your applying for the job try to prioritize your skills and knowledge according to the industry that you are applying for and this will help in attracting the recruiter easily. Try to make use of keywords effectively while you are applying online for any job or any job portals as most of the online recruiters search with the help of keywords so keep an eye on it. Make use of bullets while indicating any important information so that it would be easy for the reader to go through your resume. After completing your resume, proof read your resume twice or more and make use of the spell checker to see if there any spelling mistakes in your resume. Try to concentrate on your skills which adds value to the company on you rather than focusing on hobbies and interests. You always need to keep in mind that your resume should be innovative , unique and different from the huge pile of other graduates who are none other than your competitors. Your resume talks to the interviewer about you so it should create interest to make you meet with the interviewer. Always follow the specific structure and format for the resume as the time of recruiters is precious and they are mostly habituated to see the resumes in a specific order . You can also take help from the professional resume builders online to make your resume unique and innovative.